Indian Institute of Technology (IIT) Bombay today grabbed the grand finale of the Sweden India Nobel Memorial Quiz 2017, winning an all-expenses paid trip to the Scandinavian country. New Delhi: Indian Institute of Technology (IIT) Bombay today grabbed the grand finale of the Sweden India Nobel Memorial Quiz 2017, winning an all-expenses paid trip to the Scandinavian country. Organized by the Embassy of Sweden, this quiz series is part of the Sweden India Nobel Memorial Week - now in its eleventh year. The first qualifying round of the Sweden India Nobel Memorial Quiz 2017 was held at the Indian Institute of Management, Indore on August 02, 2017. 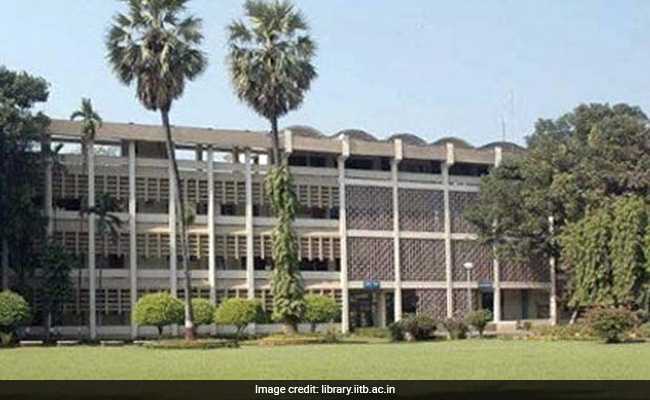 Indo-Asian News Service reported that the IIT-Bombay team of Jibitesh Behera, Kavin Aadithiyan and Soham Dibyachintan answered brain-teasers by Quizmaster Seema Chari to win the finale at Delhi University's I.P. College in which winners from 11 cities participated. The National quiz champions get an all-expense paid trip to Sweden, where they will visit headquarters of the partnering companies, Swedish universities and the Nobel Museum. Students studying in colleges and universities across 11 cities in India took part in the regional rounds and the winning team from each city qualified for the grand finale which took place in the capital city. A popular event among the college and university students, the Quiz provides a unique opportunity for young talents to test their knowledge of the Nobel Prize, Nobel Laureates and their achievements along with answering questions on Sweden, its people and culture, Swedish innovations and inventions. The participation to the Quiz was open to all under-graduate and post-graduate students (in teams of three), representing a college/institution. Qualifying rounds will be held in 11 cities, including Indore, Mumbai, Pune, Ahmedabad, Kolkata, Guwahati, Bhubaneswar, Hyderabad, Bengaluru, Chennai, and New Delhi. The Sweden India Nobel Memorial Week 2017 comprises a number of events ranging from seminars and panel discussions to competitions for student and cultural performances. The Sweden India Nobel Memorial Week is organized by the Embassy of Sweden in New Delhi along with leading Swedish companies in India like Atlas Copco, IKEA, Oriflame, SAAB, Sandvik, Scania, Tetra Pak, Volvo Cars and Volvo Group. Instituted in memory of Swedish innovator, entrepreneur and philanthropist Alfred Nobel, it celebrates the contribution of Indian Nobel Laureates, as well.